It’s been some time since we caught-up with Nate and Colleen Roby on the JCVB blog in an official capacity. It’s actually been 3 years, almost to the day. I would like to say I planned it that way, but I’d be lying. You might have heard most restaurants fail in the first year, which isn’t, it turns out, statistically true. What is true is that starting and maintaining any small-business is a labor of love; restaurants that make it past their first few years do usually continue to succeed. Simple Twist isn’t just succeeding, it’s thriving. In the 3 years since I filmed this video, Nate and Colleen Roby have opened 2 more Simple Twist locations in Johnston County as well as a tap room and bottle shop… with no plans to slow down anytime soon. Success isn’t just measured in the reds and greens of your business ledger; it’s in the impact you have on the communities you operate in. At the JCVB we think of Simple Twist in terms of visitors to the area – do tourist have locally-owned, unique, chef-driven establishments to dine in? But these establishments, of which there are many in JoCo, predominately serve a local clientele. And residents appreciate farm fresh, everybody-knows-your-name restaurants just as much as visitors do. This year the Robys were honored as Smithfield’s 2017 Main Street Champion at the North Carolina Main Street Annual Awards Ceremony in Clayton. The Robys were selected by the Downtown Smithfield Development Corporation for this special recognition in appreciation of their investment in Downtown Smithfield. 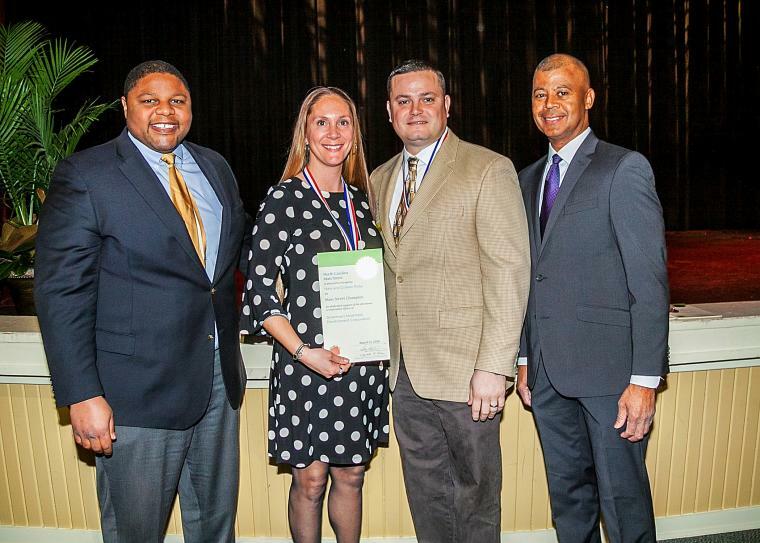 Established in 2000 as part of North Carolina Main Street’s 20th anniversary celebration, the Main Street Champion designation acknowledges the extraordinary efforts of those persons who have played pivotal roles in the revitalization of their downtowns. That “pivotal roles in the revitalization of downtowns” part is something that you’ll notice when talking to Nate and Colleen about the future of Simple Twist. It’s something they’re very passionate about and a role they don’t take lightly. 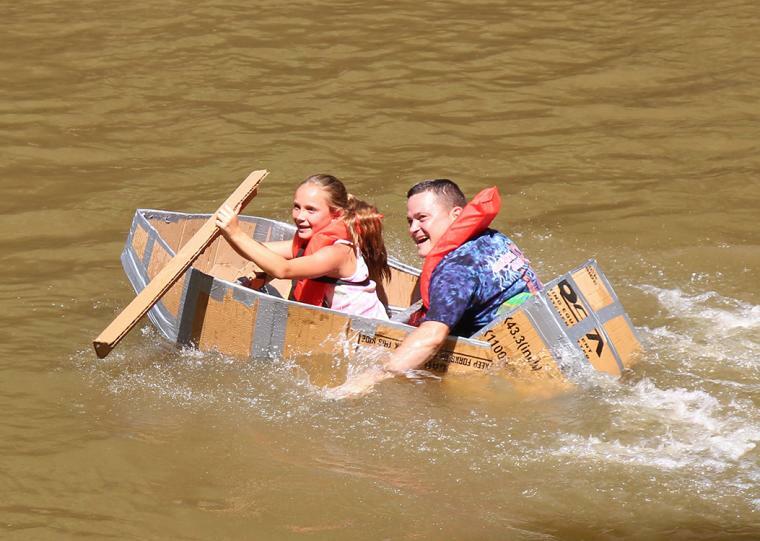 For example, the picture below is from the recent, first annual River Rat Regatta, a homemade boat challenge held on the Neuse River in Smithfield. Nate and his daughter participated! “One of the next things we’re looking at doing is a micro-brewery,” Nate mentioned to me, “because breweries are becoming the social hubs for growing towns.” Not because they’re lucrative, though I’m sure he’s run the numbers. Not because Nate loves beer, though he’s passionate about all food and beverage. His reasoning is communal. His goal is shared growth. That’s what sets Simple Twist, and its owners, apart. It&apos;s the fate part that always brings me back in, especially when I ask Colleen about their success over the past 3 years and she says, “we didn’t have plans to grow this fast, but every time we looked into the possibilities things just seemed to come together, to just work out.” It’s hard not to call that fate, but I’d be remiss to not point out how incredibly hard-working Nate and Colleen are. The day I interviewed them Colleen was impressed I’d managed to get both of them in the same place, at the same time. I used to work in the restaurant industry so I know just enough to know how much work goes into a restaurant every day, not to mention 3 and a tap room. But Nate’s not done, he working on building their catering business, the above-mentioned brewery, maybe a fine dining establishment at some point down the road, and maybe more locations if it feels right. He makes sure to point out that he’s envisioning all this right here in Johnston County; he and Colleen don’t plan to leave the JoCo communities that have been so good to them and to Simple Twist. 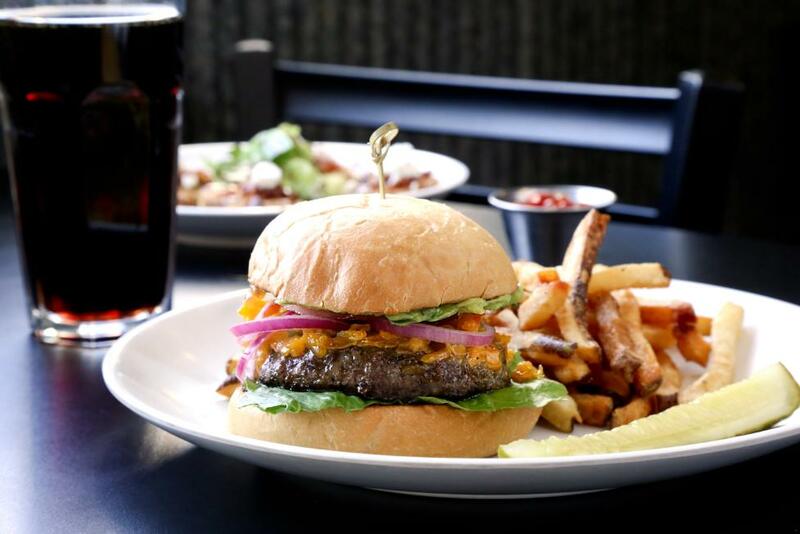 If you haven’t been to Simple Twist yet you can try lunch or dinner, and weekend brunch, at their Garner, Smithfield, or Riverwood locations. I recommend literally any of the burgers or the shrimp and grits or just going until you’ve tried to whole menu, and then starting over again because it changes a little once or twice a year. 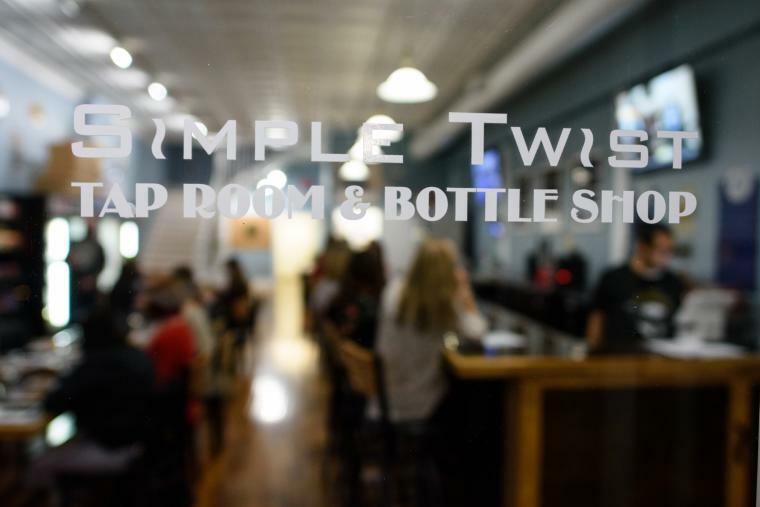 If beer, pizza, and trivia is more your style then visit the Simple Twist Tap Room and Bottle Shop Facebook page to keep up with what’s happening there. I’d like to thank Nate and Colleen for taking the time to sit down with me. I’d also like to thank them for creating Twisted Guacamole (Nate got the idea from a cobb salad – true story). If travels bring you near Exit 95 off I-95 or Exit 312 off I-40 then you’re really close to a Simple Twist and an unforgettable dining experience.